SMB Trader Development is our next training program and is offered to the best students from SMB Foundation. It was created to mentor new traders who have successfully learned the trading skills taught by SMB Capital. Your trading mentor will help you to focus on what is most important so that you progress to the next level with your trading. SMB Trader Development is a mentoring program where a new trader focuses on skill develop. A mentor is assigned to work with you so that you develop the skills and a trading playbook that make sense to you. During this mentoring course traders will follow daily lesson plans and use SMB’s proprietary trade analysis to improve daily as a trader. Traders will also have access to the SMB Trading Tools and access to the SMB trading desk with the SMB Chat Room and SMB Audio Feed. How we build your trading skills. Watch videos of our Partners (Mike Bellafiore and Steve Spencer), Head Trader, and Senior Traders (JToma and others) teaching trading skills and trading plays to our new traders. Listen to SMB Capital trade daily. SMB traders share valuable trading information via our Live Audio Feed. 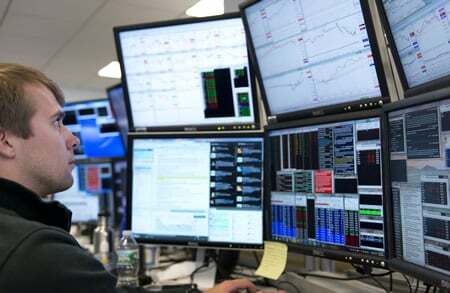 Multiple trading rooms are run simultaneously by the traders on our desk. Listen to the Partners trade the market Open and Close. Or move to another call and listen to SMB Traders trade Stocks In Play. SMB Traders record their live trading and then present their trades in our training room for review by their peers. These video review sessions are broadcasted live online daily and archived for further viewing. The SMB Tradecast is a educational tool that helps new traders reduce their learning curve by allowing them to see more market patterns in a shorter period of time. The Partners and senior traders at SMB are experienced mentors, who have created a comprehensive system to develop fundamentally sound traders. While learning SMB trading skills, senior traders are accessible daily through the SMB Chat Room and the SMB Audio Feed. One-on-one mentoring is added to guide traders through the process of building trading plays and review simulated trading. The SMB Chat Room is a community where new and experienced traders share ideas, discuss trading, and ask questions. During the trading day this will help you find the levels we are currently watching or to receive mentoring from a senior trader. Most importantly, it is a medium for you to talk trading with a group of people who truly enjoy what they do. SMB offers our SMB Trading Tools to assist new and experienced traders. SMB Stocks In Play and SMB Intraday Trader ensures that traders are in the best stocks. SMB Tradecast broadcasts our daily trading review sessions, so that traders can learn from others. Learn how we work as a team to make money individually.